The Warriors have added yet another guard. According to the Athletic, Golden State signed guard Tyler Ulis to an Exhibit 10 contract Friday. Free agent guard Tyler Ulis picked the Warriors over Houston and Sacramento for an Exhibit 10 contract, a source said. Ulis chose the Warriors over the Rockets and the Kings, according to ESPN. 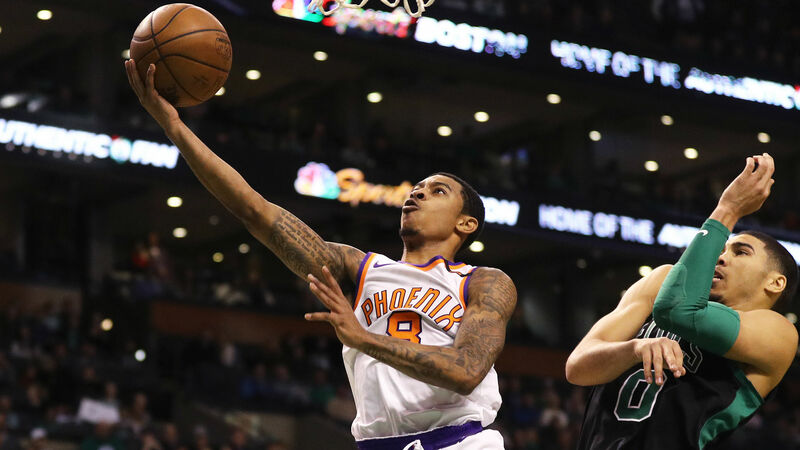 Source: Warriors signing former Suns guard Tyler Ulis to an Exhibit 10 contract. He’ll be with them in camp. Ulis was released by the Suns this offseason after he averaged 7.8 points and 4.4 assists in 2017-18. He was a second-round pick by Phoenix in 2016. An Exhibit 10 contract is new to the NBA’s collective bargaining agreement and is deal in which a player will receive a $50,000 bonus if he is signed with the team’s G-League affiliate if waived by the parent club. It can turn into a two-way contract on the first day of the season. If it is, the bonus is rescinded.